As the Rio Grande Valley continues to recuperate from the heavy storms and flooding that occurred in June, one local organization created an event that will combine music, community and support. 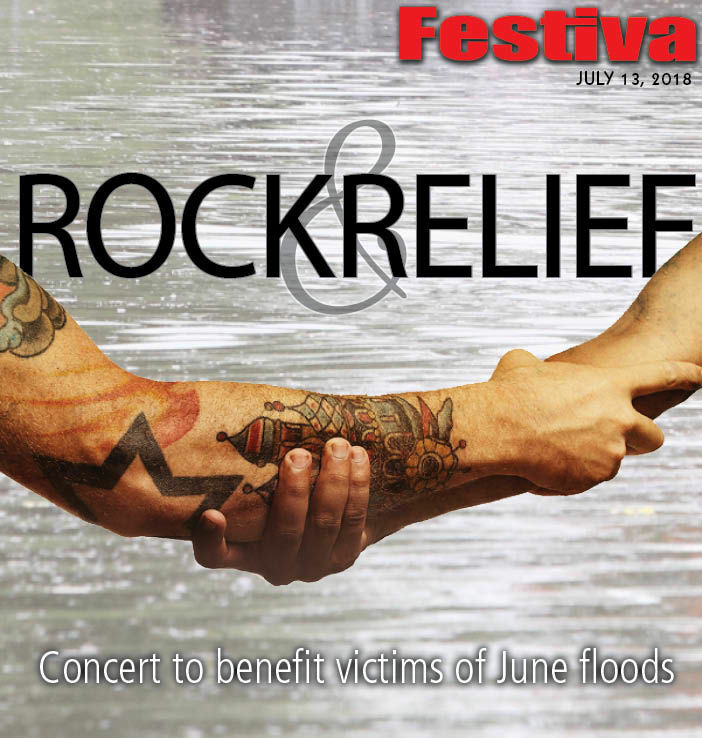 The Flood Relief Benefit Concert, hosted by Texas Music Helps and The Historic Cine El Rey Theater Foundation, will take place at 8 p.m. Saturday. All proceeds will go toward the Food Bank RGV to aid in their efforts to help those affected by the floods. “We have the chance to get the musical community engaged with folks who really need help,” said Robert Hahn, president of Texas Music Helps and one of the event’s organizers. He is also a member of the band Overt Enemy. The event, run completely by volunteers, is family-friendly and open to all ages. While there is no admission price, a donation at the door is suggested. Hahn said the food bank did not give a list of supplies needed from donations, so only cash donations will be accepted at the event. He emphasized that 100 percent will go directly to the food bank. In addition to the Historic Cine El Rey Theater Foundation, the concert is sponsored by Create Design Lab, Texas Metal BBQ, Widowmaker Studios and Kaboom Comics. It will be hosted by Vinny Dee and Charlie Corona, with special guests Majer Skateboards. Doors open at 7:30 p.m. with live music from 8 p.m. to 2 a.m. The musical lineup includes Relief, The Profused, River Rock 7, Kill Your Television, Venomous, Sin Pulse and Aztronot. Hahn said Raymond Castillo of Aztronot originally approached Texas Music Helps with the idea for the event. According to Hahn, Joshua Lopez, of Widowmaker Studios and the band Relief, is a board member for Texas Music Helps and the concert’s co-organizer. Through the foundation, Guerra offered the theater as the concert venue for free. He provides the equipment and resources necessary for events that aim to help the community. Hahn said the concert would not have been possible to organize on such short notice had it not been for Guerra’s foundation. Without having to worry about paying for a venue, Hahn and Lopez were able to put everything together in about a week. Texas Music Helps was founded to help raise funds and awareness for local charities. Hahn said they have developed and kept in touch with a large network of local musicians that respond to open calls for events such as this one. And when it came to deciding who exactly the concert would benefit, Hahn said everything Food Bank RGV has been doing for flood victims stood out to him. He wanted to take a more “community-based” approach that would get a large amount of people involved in the cause. Hahn knows recovering from the damage caused by the flood will be a long process for many in the Valley, but he wants those people to know that his organization and countless others will continue to offer support. To find information about the Flood Relief Benefit Concert, find the event on Facebook or at www.texasmusichelps.org.